Hello and welcome to the blog, it's June today hosting. I just got a Cannon Selphy CP1200 Photo Printer and I LOVE it!!! No more running out to the drug store to get my pictures made. 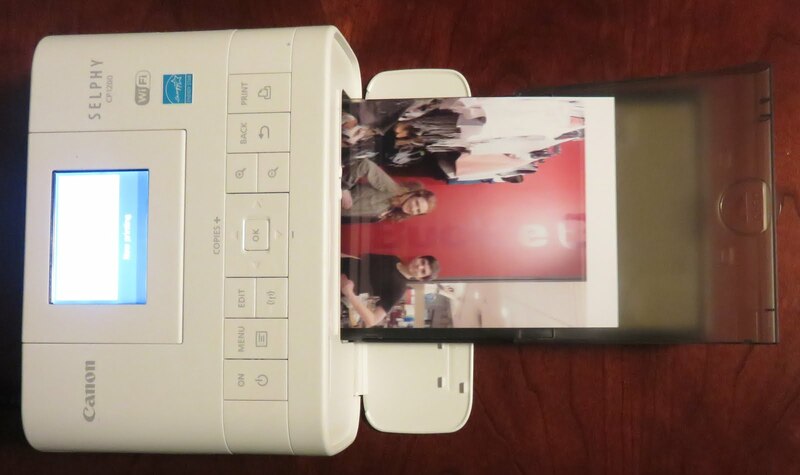 This printer is also very compact and completely portable, which means I can print photos any time, anywhere! This is a real game changer for me. Before, I would wait weeks for a sale at the store and print 75-100 photos at a time, but now I can just make them when I want them. Plus I can take it along to crops and not lug boxes of photos! This is all so AWESOME! I think the colors are true and printing is sharp. The paper seems to be a good quality, too. Yay! 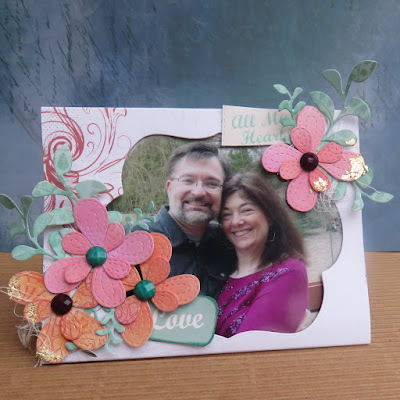 I wanted to create a frame that could stand alone and also fit into an envelope. To create the project, cut one 5" x 12" strip from Quick Quotes' Adventure Awaits 104 and score it at 4" and 8". In the middle section, diecut the frame. Chalk with Fuchsia, Lipstick, Sunset and Jade PowderPuff Chalking Inks. The inks really brought out the stitching details and brightened up the flowers. The word tags are from Chiffon 500. Attach the photo to the inside of the frame. 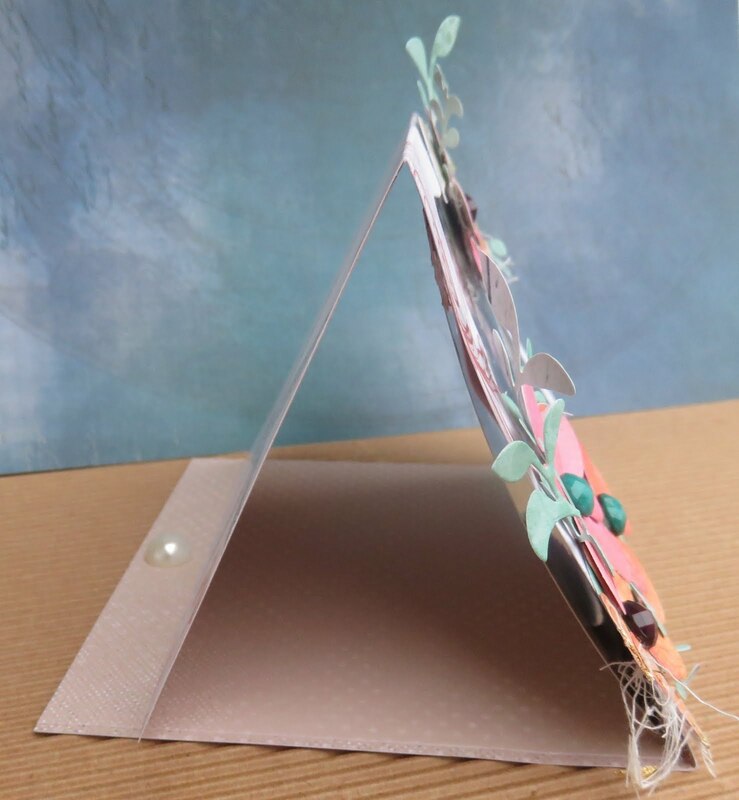 Lastly, add gems to the flowers and one big pearl to lower back panel to allow the frame to stand up. This project came together fast and easy. 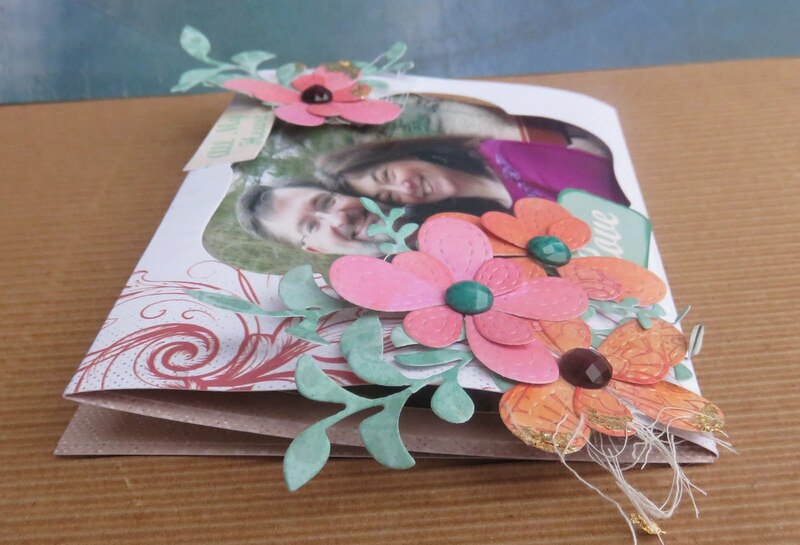 Hope you are inspired to give it a try and make something special for someone special.